Lionel made this set in 2006 and sold the engine and cars only in the set, never individually. Chicago & Alton Limited Pacific Engine. Chicago & Alton Limited Missouri Combination Car. Chicago & Alton Limited Evanston Coach. Chicago & Alton Limited Webster Groves Coach. Chicago & Alton Limited Chicago observation car. The back of the Chicago observation car. 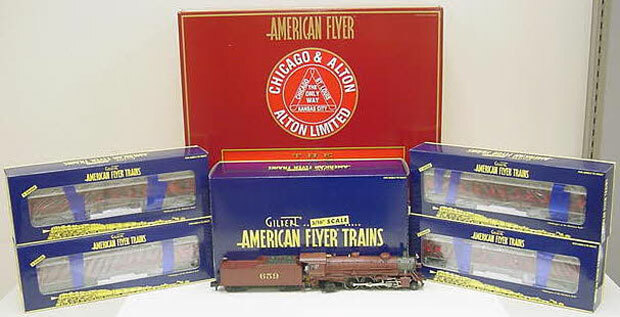 Lionel released the #49923 Alton Limited Heavyweight add-on 2-Pack in 2008. #49924 Chicago & Alton Limited Oak Park Coach. 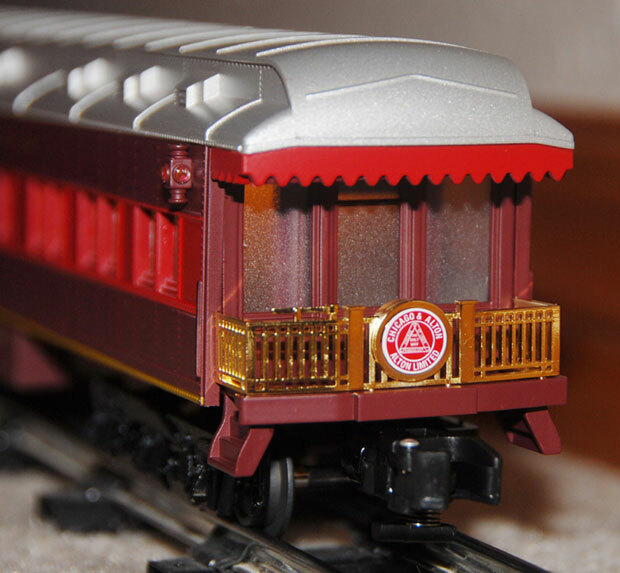 #49925 Chicago & Alton Limited R. S. Brauer Baggage Car.